In these modern scientific times, corporations are producing drugs and medical devices intended to cure every physical and psychological problem that people experience. Regrettably, these companies sometimes fail in their efforts, especially when profits become more important than safety. Contrary to the belief of many patients, FDA approval or the fact that a doctor prescribed a drug does not mean that it is safe. As a result, those who have depended on these drugs or medical devices often suffer severe and permanent injuries, and even death. The law holds manufacturers, wholesalers and distributors responsible for developing and dispensing defective drugs and devices. The consequences of defective drugs and medical devices can be devastating to victims and their families. In addition to the physical consequences, the family’s trust in the medical professionals they depended on is often shaken. Further, it often becomes impossible to get answers from doctors as they fear that they may also be held accountable. In times like these, place your trust in ARDITO LAW FIRM, P.C. 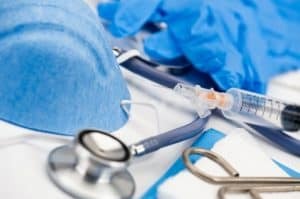 If you or a loved one has been injured by a defective drug or medical device, contact ARDITO LAW FIRM, P.C. as soon as possible.